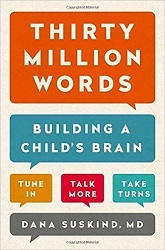 The thirty million words of the title refer to the number of words children hear from birth to 3 years of age. But that’s not the total number of words — that’s the gap between the number of words children from language-rich families hear and the number that children from language-poor families hear. The number is based on a study done by Betty Hart and Todd Risley. The data answered the paramount question: Was a child’s ultimate ability to learn related to the language heard in the first years of life? Three years of painstaking analysis left no doubt. It did. Counter to prevalent thought at the time, neither socioeconomic status, nor race, nor gender, nor birth order was the key component in a child’s ability to learn because, even within groups, whether professional or welfare, there was variation in language. The essential factor that determined the future learning trajectory of a child was the early language environment: how much and how a parent talked to a child. Children in homes in which there was a lot of parent talk, no matter the educational or economic status of that home, did better. It was as simple as that. When they followed up with the children years later, the trend continued. The essential wiring of the human brain, the foundation for all thinking and learning, occurs largely during our first three years of life. We now know, thanks to careful science, that optimum brain development is language dependent. The words we hear, how many we hear, and how they are said are determining factors in its development. The significance of this cannot be overemphasized since this window of time, if neglected, may be lost forever. When Hart and Risley looked at their data, the influence of early language on a child was unmistakable, the negative impact of a poor early language environment critical, including the effect on vocabulary acquision. Even more significant was evidence of the effect on IQ at three years of age. Also important was what was said. But quantity of words was only one part of the equation. While the number of words a child heard was important, imperatives and prohibitions appeared to stifle a child’s ability to acquire language. Two other factors seemed to have an effect on language acquisition and IQ. The first was the variety of vocabulary the child heard. The less varied the vocabulary, the lower the child’s achievement at age three. The other influence was family conversational habits. Hart and Risley found that parents who talked less produced children who also spoke less. This book is ultimately a book of hope, about teaching parents how important their words are. The incredible power that helps nurture the brain into optimum intelligence and stability is parent talk. If the most profound mysteries of the brain are still to be discovered, that truth has already been revealed. And it shows you how smart the brain really is, because, in absolute evolutionary brilliance, it harnesses a plentiful, natural resource as the key catalyst for its own development. The process is so simple and hidden that you aren’t even aware it’s happening. You can’t sell it, you can’t store it, you can’t list it on the New York Stock Exchange, but a caregiver’s language is the essential resource of every country, every culture, every person, extending into every crevice of who we are, what we can do, and how we behave. The book goes on to talk about how parent talk helps in every area of brain development. But then it talks about how to turn this research into action. In the Thirty Million Words Initiative, parents are being taught effective ways to talk with their little ones. I like the memorable Three Ts that parents are taught: Tune In, Talk More, Take Turns. Of the Three Ts, Tune In is the most nuanced. It involves a parent’s making a conscious effort to notice what a baby or child is focused on, then, when it’s appropriate, talking with the child about it. In other words, focusing as the child is focused. Even if the child is too young to understand the words being spoken, even if the focus is constantly changing, Tuning In refers to a parent’s following and responding to a child’s lead. It represents the first step in harnessing the power of parent talk to build a child’s brain. If a parent is not Tuned In, the other Ts will not work. The second T, Talk More, seems self-explanatory. Talk More, which goes hand in hand with Tune In, refers to a parent’s increased talking with a child, especially about what the child is focusing on, not to him or her. While this may seem a subtle distinction, it is fundamental to the TMW approach. Talking More with a child requires a mutual level of engagement between the child and the parent. Like Tune In, it is another critical element of parent-child attachment and brain development. And the final T puts it all together. The final T, Take Turns, entails engaging a child in a conversational exchange. The gold standard of parent-child interaction, it is the most valuable of the Three Ts when it comes to developing a child’s brain. In order for the necessary serve-and-return of conversational interaction to be successful, there has to be active engagement between the parent and child. How does the parent achieve this? By Tuning In to what the child is focused on and Talking More about it. The key, whether a parent has initiated interaction or is responding to a child’s initiative, is for the parent to wait for the child to respond. That is what sets the stage for the critical Taking Turns. The book goes on to talk about practicalities, and how this applies in many different ways and many different subject areas. But I like how nicely the content is summed up in the title alone. As a children’s librarian, reading this book urges me to communicate these important principles to parents and helps me realize how important parent talk is, even from birth. 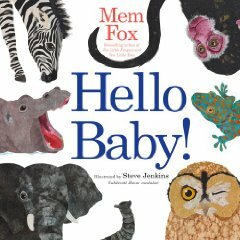 I recommend this book for all parents, but also for anyone who works with babies or parents of babies. A powerful, hopeful message. Frances Foster Books (Farrar Straus Giroux), New York, 2012. 36 pages. I would have never checked out this book. I mean, come on, how many books do we need about getting ready for Kindergarten? When I did read it because it is being considered for the Capitol Choices list, I became convinced that we don’t need any of the other books. We need this one! 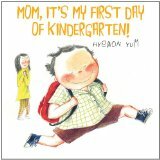 This is a book about the feelings of a kid and his Mom when the child is starting Kindergarten. Those feelings are beautifully expressed by size and color. I especially love the way the sizes and colors change from page to page, because feelings on such a momentous day are volatile. Feelings change. At the start, the big boy is excitedly waking up his little, blue mother, because he’s ready to start school. The picture on that page clearly demonstrates the big, confident boy wolfing down his breakfast in an Enormous Mouthful. All Mom’s other worries, he can handle. And he’s consistently pictured as large and confident, while Mom is much smaller and completely shaded in blue. They rush to school, with the big, happy, confident boy pulling along his tiny Mom. The reversal of the usual tropes continues, and the big boy mounts the steps to the big school. I say hi to the girl with a pink ribbon. And her mom says hi to my mom. On that page, color beautifully dawns on Mom’s face and body. She smiles with pink cheeks, and the pink and yellow radiate into her blouse. The top of her head and her legs are still blue, but you can see that she’s warming up. The teacher comes out to greet them, and the boy gets his confidence back. And his large size. There’s a wonderful picture on the page when the teacher says it’s time for the parents to leave. “Mom hugs me, and kisses me, and hugs me, and kisses me.” The boy is about to pop from the force of the hugs, and Mom’s face is blue again, but she’s smiling. There’s a truly wonderful double page spread at the end of the day when the Kindergartners are lined up, ready to go home. They are all huge and confident, completely filling the page and smiling. “When we line up, I feel so much bigger.” He looks bigger, too. Mom, waiting out in the school yard, is back to blue. But when they have a big hug, she’s back to normal color and size. This book is perfect in so many ways. It so wonderfully shows the feelings taking place here, using the art to say so much more than words can. Then there’s humor in the Mom’s worries, and the confident, reassuring child. But I love that even he has moments of being blue, because that’s the way it really happens. If you know of a child getting ready to start Kindergarten, I can’t think of a better choice than this book! The Penguin Press, New York, 2011. 235 pages. I wasn’t sure I’d be able to handle reading this book. Here in Northern Virginia, there are so many Tiger parents pushing their kids, and I had a feeling I’d feel sorry for the kids. Either that, or I’d be filled with guilt that I hadn’t been more of a Tiger Mom and ended up with prodigy children. But Amy Chua handles the delicate topic with grace and humor. Although she acknowledges that there are stereotypes involved here and every single Chinese mother is not one way and every single American mother the other way, she does point out that the culture in which she was raised was completely different than typical American parenting culture. However, she also uses the book to show that, no matter how strong your convictions about parenting, every child is different, and what works for one may not work for another. We all make mistakes, and the important thing is to do your best. And nothing shows you your own weaknesses and misconceptions like being a mother. Amy Chua tells a good story, too. She tells of her noble quest to sacrifice to raise perfect children, and the obstacles and drama along the way. I found myself a fascinated by how well it was working out with her prodigy children, though she definitely shows her own defeats. And, what do you know, the girls did not turn out to need years of expensive therapy. All in all, this book made me feel much less judgmental of the overachieving parents I see come into the library. And other people who don’t parent the way I do. The fact is, everybody can think they have the one right way to parent, but there are strengths and weaknesses with every approach, and every child is different. In Battle Hymn of the Tiger Mother, you can read along as Amy Chua learns that lesson. Hachette Audio, 2009. 7 CDs. This audiobook was a fascinating one to listen to. I put a copy of the print version on hold, so I’d have some surprising statistics to quote for this review, but too many people want to read it and my copy still hasn’t come in, so I will have to go by memory of what I heard and be more general. NurtureShock reviews studies on child development and breakthroughs in our understanding of nurturing children that have come in the last ten years, particularly studies that had results contradictory to prevailing belief. The authors cover many different aspects of raising children and cover child development at all age levels. They begin with studies that show that too much praise is actually counterproductive for building a child’s self-esteem. They go on to studies about many other things, and cover each topic in great depth, explaining the implications of the studies and how the researchers approached their surprising results. We learn about the importance of sleep for children — it’s much more important for children and teens than it is for adults. They look at the lies children tell, which happens much more often than their parents realize. It turns out that children know they are lying much younger than their parents realize, but it also serves a developmental purpose. All ten chapters tell you fascinating things about children and teens and their developing brains. Not only do the authors present the surprising results, they also come up with plausible reasons for why those results are happening. 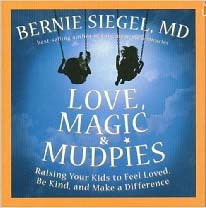 I highly recommend this book for all parents, and anyone who works with children or teens. People will also be fascinated who are interested in how the human mind works. Every chapter has interesting and surprising things to think about, and it may change the way you parent your kids. It would be nice if this book could even be used to change some school district policies. Conari Press, 2003. 181 pages. Here’s another book I’ve been meaning to review for a very long time. The author was one of our nicest customers at the library on Sembach Air Base in Germany. Again, the time when I moved was a time of upheaval for me, and I got way behind on book reviews. On top of that, this is a book to be read slowly and savored, which I did. I did give the book to a book-lover friend who was a new mother. She said it brought tears to her eyes and was the best present she got! The Mother’s Book of Well-Being consists of 52 meditations for each week of your new baby’s life. Each one is only a few pages long, so you ought to be able to get that much reading time in a week! These meditations are not about the baby’s growth, but about your own growth as a woman and as a mother. In the Prologue, the author says, “That’s where this book picks up — at the point when you can’t possibly go one more moment without sleep, without a shower, without a smidgen of the life you once lived. This is a time of celebration, and also one of healing and learning. When you gave birth to your baby, you also gave birth to yourself as a mother. You’re responsible for another soul and, unexpectedly, newly responsible for yourself. “The passage from woman to mother is complex. It causes us to reexamine who we are and who we want to be for our children. The ‘guard’ of generations has changed. Becoming a mother suddenly places you in the seat of true adulthood. My feet dangle from that chair often. I hasten to touch the ground and sit up straight in my newfound responsibility. Motherhood is a role in which it takes time to become comfortable and confident. The changes are great and the expectations high. We live in a culture that reveres and elevates motherhood to a superhuman stature. So often we come to the role with perceptions of how it will be, and realize how unprepared we really are. All of the plans you made for yourself and your baby before you gave birth may be hard to take during this time of recovery. This may be the first time you’ve ever been ‘called’ to devote yourself to a job so unconditionally. Some moments will find you strong and tireless, and others will find you exhausted and unsure. “Too often, we miss the sanctity of the present. The present usually arrives peacefully, offering itself as a refuge over and over again while we sit muddled in our minds. We might believe that our thoughts are productive or even interesting, but we’re really ignoring the gift of the day before us. In Week 3, she encourages mothers to find some time to ourselves, somehow. “Do you ever feel housebound? The weather might be whipping outside, or your baby might be sick with a cold. Whatever the condition, the walls of one’s home can become confining at times. Rather than slink through the day, engage your fingertips and mind by opening a book. There must be at least one book on your shelf that has not yet been read. Perhaps there is even an old favorite that begs to be reread. “I escape often to Italy, France, and Spain, walking the landscapes of each and taking mental notes along the way. I must remember to return to Tuscany when the olives are harvested for oil. I love Provence when the lavender is lush upon the hills. I’d like to drive winding roads again in Andalucia, amidst lemon trees bending ripe with fruit. Mental travelers need not pack diapers, snacks, or car seats. You’re free to travel alone, which is even lighter…. Houghton Mifflin Harcourt, Boston, 2009. 241 pages. Here is an interesting look at how we can help our children to grow up to be morally and emotionally strong. I recommend the book more for people who work with children or teens and are interested in cultural trends, but individual parents will find it interesting, too. One significant point from the the book that struck me was reminding the reader that we are never done developing as a moral and emotional person — and our children are watching us. He reminds us not to hide our struggles and our growth from our children, because they are definitely watching. “We are the primary influence on children’s moral lives. The parent-child relationship is at the center of the development of all the most important moral qualities, including honesty, kindness, loyalty, generosity, a commitment to justice, the capacity to think through moral dilemmas, and the ability to sacrifice for important principles. . . .
“Much of what we found was heartening. Many parents care deeply about their children’s moral qualities, and we uncovered a wide variety of effective parenting practices across race, ethnicity, and class. This book takes up key, illuminating variations in these practices. “Yet we also found much that is troubling. Some adults hold misguided beliefs about raising moral children, and some parents have little investment in their children’s character. And the bigger problem is more subtle: a wide array of parents and other adults are unintentionally — in largely unconscious ways — undermining the development of critical moral qualities in children. “This book reveals this largely hidden psychological landscape — the unexamined ways that parents, teachers, sports coaches, and other mentors truly shape moral and emotional development. It explores, for example, the subtle ways that adults can put their own happiness first or put their children’s happiness above all else, imperiling both children’s ability to care about others and, ironically, their happiness. It shows not only how achievement-obsessed parents can damage children, but also how many of us as parents have unacknowledged fears about our children’s achievements that can erode our influence as moral mentors and diminish children’s capacity to invest in others. It explores why a positive parent instinct that is suddenly widespread — the desire to be closer to children — can have great moral benefits to children in certain circumstances but can cause parents to confuse their needs with children’s jeopardizing children’s moral growth. It reveals how the most intense, invested parents can end up subtly shaming their children and eroding their moral qualities, and it shows the hidden ways that parents and college mentors can undermine young people’s idealism. I also found it significant that one of the author’s conclusions is that we need community. This is exactly what my church stresses as one of the most important parts of the Christian life. Doesn’t this paragraph support the importance of community? Now, the author recommends building up community family support programs, but the way this talked about the benefits of community resonated for me with what I was hearing at church. We’re better parents if we don’t try to parent in isolation. Rodale, New York, 2006. 241 pages. Here’s an inspiring book of musings and tips on inspiring your kids. I read them through at the rate of about one musing per day, which gave me a nice little daily dose of inspiration. “The title of this book says it all. Love is necessary for our survival and is the key ingredient for both the parent and the child. Children see the magic in everything, and loving parents can and will experience so many magical moments while raising their children. Mudpies can be fun at times and also leave us covered with dirt. “When you look at your children and yourself, I’d like you to accept that you are all part of this special magical relationship. While creating your family, I’d like you to be in awe of life and its wonder but not hesitate to dive into life and take the risk of a mud bath now and then, too…. “I want to help parents not only survive the ups and downs of parenting but help them make it a blessing, too. The magic excites and enlightens us, while the mud can become the fertilizer for our lives and relationships. In this book, I will share with you the gems I have garnered from my medical practice and family life. From my experience as a father of five, grandfather of eight, pediatric surgeon, counselor to those with life-threatening illnesses, and a Chosen Dad for suicidal and abused children I have met, I know our childhoods have a profound effect on our lifelong health. I’ve seen that what we learn in our earliest years has a direct effect on our self-esteem, behavior, and choices. It makes me realize that the parenting we receive is truly the number one health issue in most people’s lives…. This book is full of helpful, encouraging, and inspiring ideas and advice. Perseus Publishing, 2003. 275 pages. This book resonated with me. My sons are 20 years old and 14 years old, and this book gave me good tips for dealing with both of them. My older son just graduated from college, and my younger son is starting high school. They’re growing past disciplinarian concerns. Michael Riera puts into words what I really want in my relationship with my sons — connection. I respect teenagers a great deal, and I respect the parents of teenagers even more. Nothing in a parent’s life is more trying, confusing, and frustrating than raising a teenager. They are moody, self-centered, and full of mixed messages; at least that’s the way normal, healthy teenagers behave. That will not change. As the parent of a teenager, you know all too well that your job entails setting limits, having big talks, enforcing consequences, helping them to learn from their mistakes, and putting them on course for a happy and successful adulthood. Talk about an exhausting task. What I find curious, however, is that hardly anyone ever mentions the importance of staying connected to our teenagers throughout their adolescence. Given the enormous To Do List from the previous paragraph, why isn’t anybody addressing practical ways of staying connected to our teenagers throughout this trying time? From a practical perspective, all the items on your To Do List are handled more efficiently, more effectively, and more pleasantly when you are connected to your teenager. For instance, research has shown that the emotional connection between adolescent girls and their parents (especially their mothers) significantly delays the onset of sexual activity. When you are connected, everything else comes more easily and naturally. And when they do misbehave — as they will — nothing worthwhile can happen until your connection is reestablished. The number one complaint of the parents of teenagers is a lack of communication with their teenagers, but even in the face of this, if you are paying attention, thinking creatively, and maintaining your curiosity, your connection will hold steadfast despite the lack of regular heart-to heart talks. Beyond effectiveness, there is another reason to maintain your connection with your teenager: It’s fun. Teenagers, for better and worse, are some of the most creative and fun people on the planet, and when you stay connected you, too, enjoy these aspects of your teenager; and in doing so, you regularly replenish your parenting batteries. Besides, sharing humor itself promotes connection. Or, as the humorist Victor Borge once said, “Laughter is the shortest distance between two people”…. This book looks directly at the connection between parent and teenager, and aims to give you solid, practical advice, ensconced in psychological and developmental research, on how to understand and how to improve the quality of your relationship with your teenager. Indeed, Michael Riera succeeds brilliantly at making this a practical, encouraging book. I was reading the chapter “Extend the Comfort Zone,” right when I was ready to take my son to get his driver’s license. It so happens that a teen learning to drive is a prime example of a teen expanding his comfort zone in order to learn new skills. By the end of a story like this, parents have a much better sense of what a comfort zone is and how and why their teenagers would choose to expand it. It’s important that, as a parent, you are successful in supporting your teenager in expanding her comfort zone, because whenever you do so you deepen the connection you already have with her. If, however, you push too hard or are too cautious, you miss golden opportunities. Striking the right balance in this arena is an art form. Reading Michael Riera’s advice was just in time to help turn the trip to the Department of Motor Vehicles into a positive experience between my son and me. This book is positive and encouraging. It shows you how you can use your own common sense to help your teen learn to use his own common sense. I like the way Michael Riera encourages you to get your teens focusing on their own integrity. They know how they should act — if you tell them how they should act, they probably won’t want to do it, though. I think I’m going to buy myself a copy of this book, so I can refer back to it often in the next several years. It is wise, encouraging, and practical. And it helps you see what you truly want your teen to grow into — a responsible adult with opinions of his own, who still loves and cares about you, and enjoys discussing those opinions with you.